Flip 5 coins. 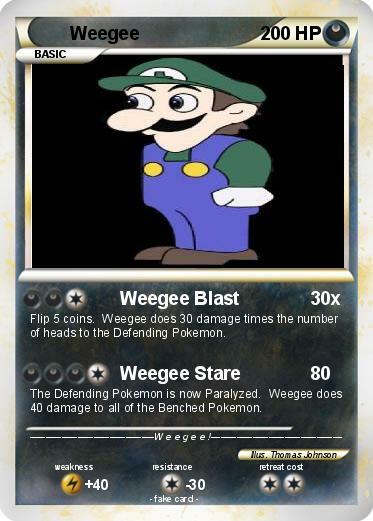 Weegee does 30 damage times the number of heads to the Defending Pokemon. The Defending Pokemon is now Paralyzed. Weegee does 40 damage to all of the Benched Pokemon.